This pathway provides guidance on the investigation of adult patients with acute gastrointestinal bleeding, with emphasis on endoscopy and non-invasive imaging modalities. 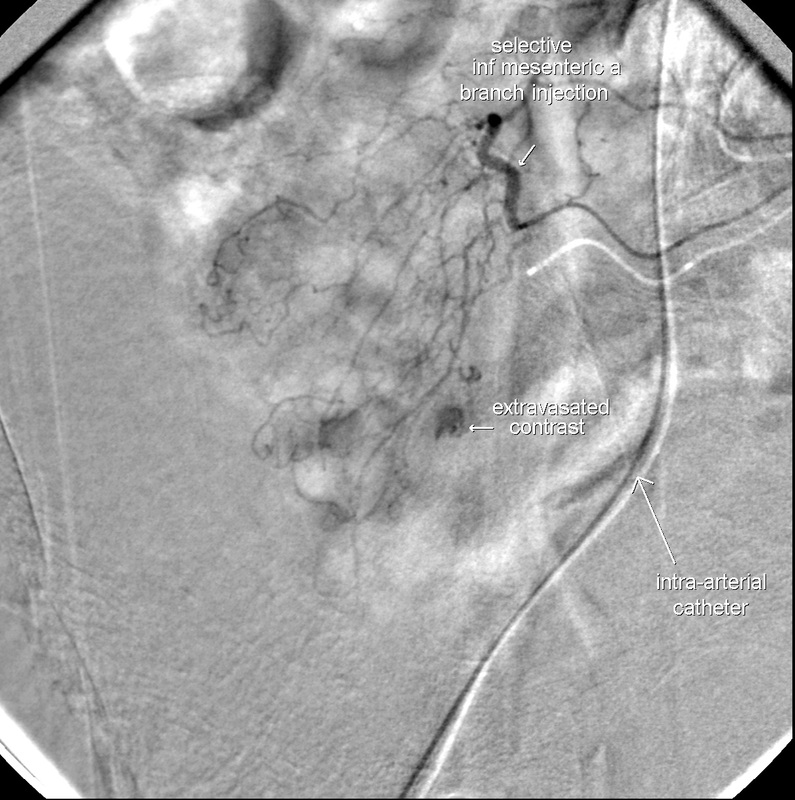 Image 1a (Computed Tomography Angiography): Extravasated contrast in the lumen of the sigmoid colon. 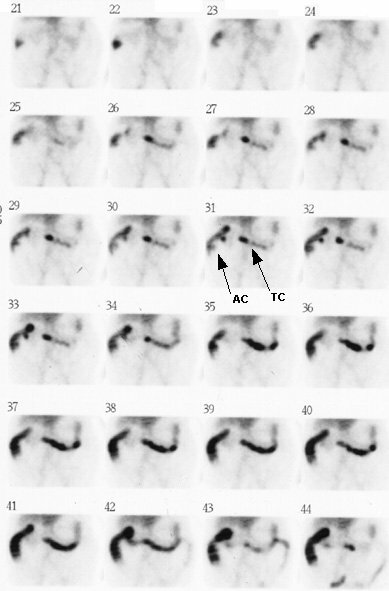 Image 1b (Computed Tomography Angiography): Coronal views of the same patient. 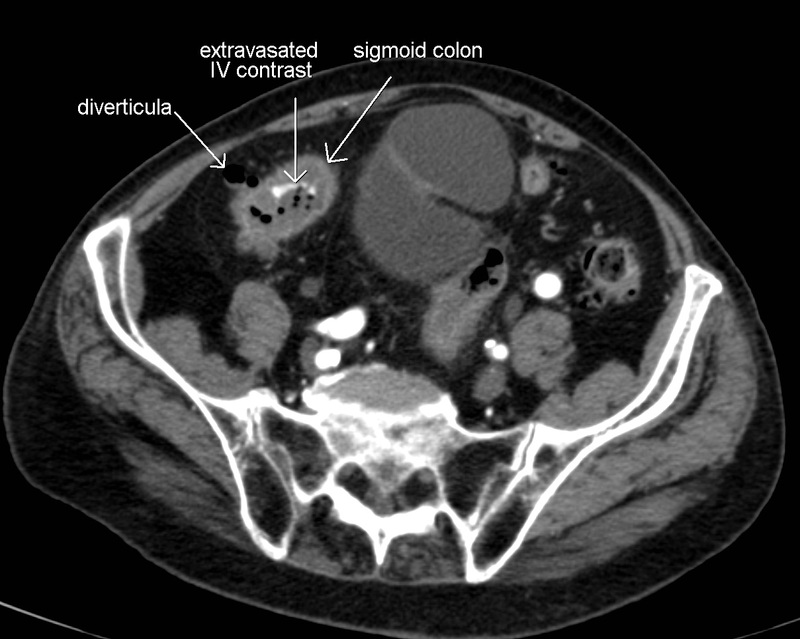 Extravasated contrast is seen in the lumen of the sigmoid colon. 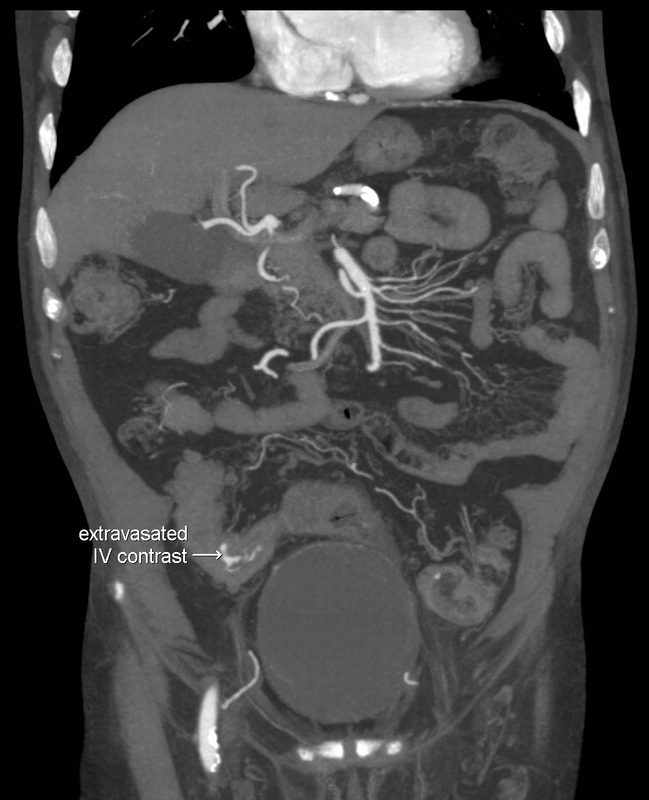 Image 1c (Mesenteric Angiogram): Selective inferior mesenteric catheterisation demonstrates a 'blush' of extravasated contrast indicating the site of bleeding. Image 1d (Mesenteric Embolisation): Bleeding has ceased with coils deployed in the bleeding artery. 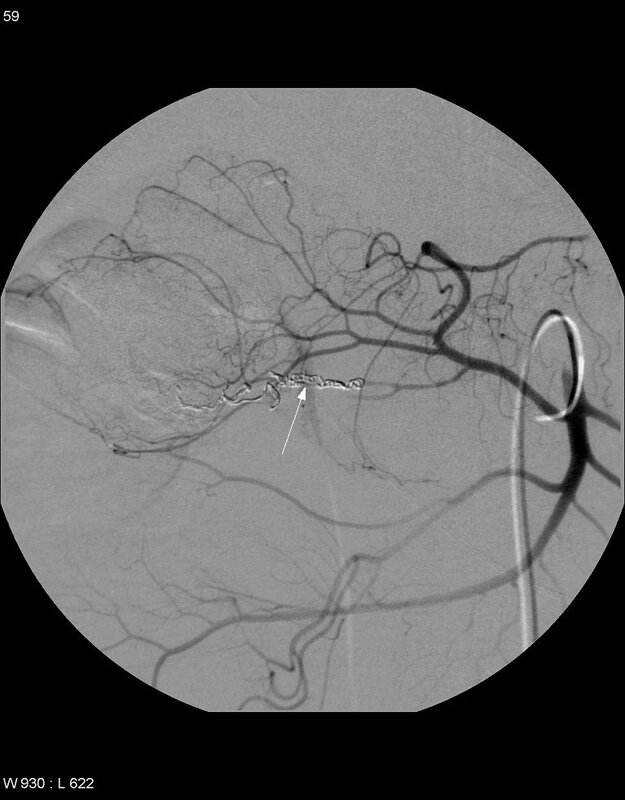 Image 2a (Computed Tomography Angiography): Active extravasation of IV contrast into the lumen of the transverse colon in the region of hepatic flexure (arrow). 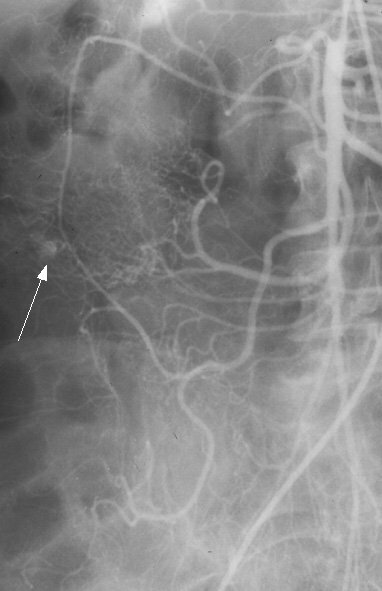 Image 2b (Digital Subtraction Angiography): Selective superior mesenteric artery angiography of the same patient showing contrast extravasation from a right colic artery branch (arrow). 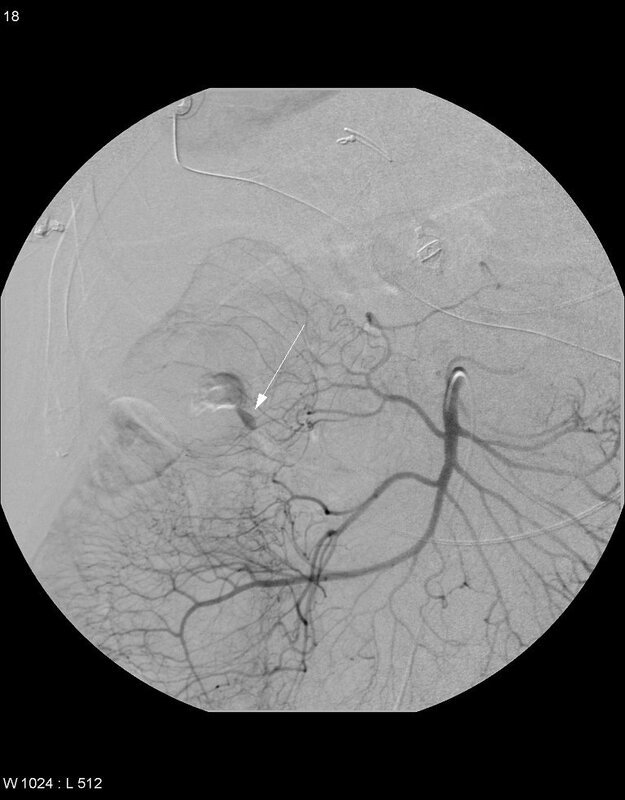 Image 2c (Digital Subtraction Angiography): Super-selective angiogram of same vessel. 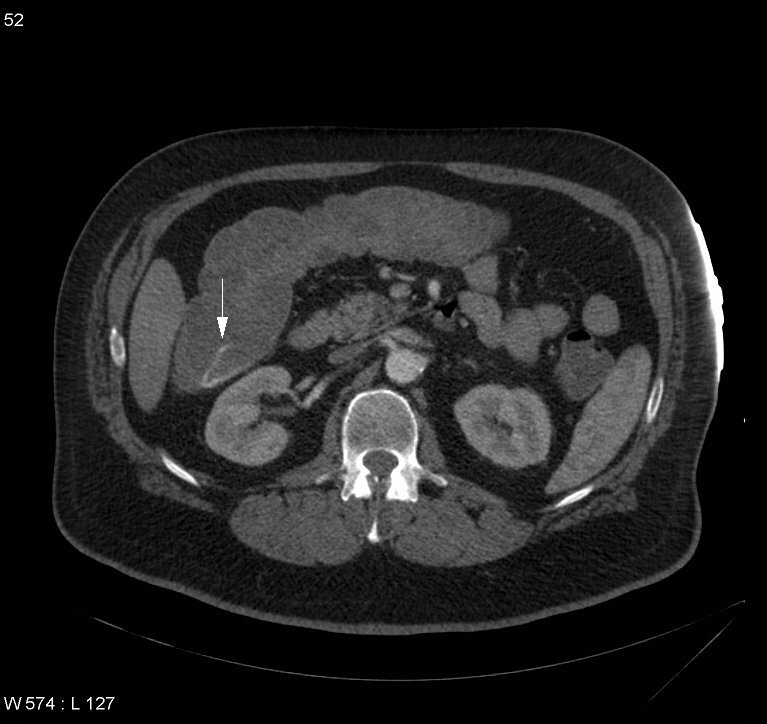 2d Image 2d (Mesenteric Embolisation): Post-embolisation image demonstrates shows no further extravasation after coiling (arrow). Image 3a (Radionuclide RBC Scan): Extravasation of tracer in ascending colon with accumulation over time in the proximal colon. 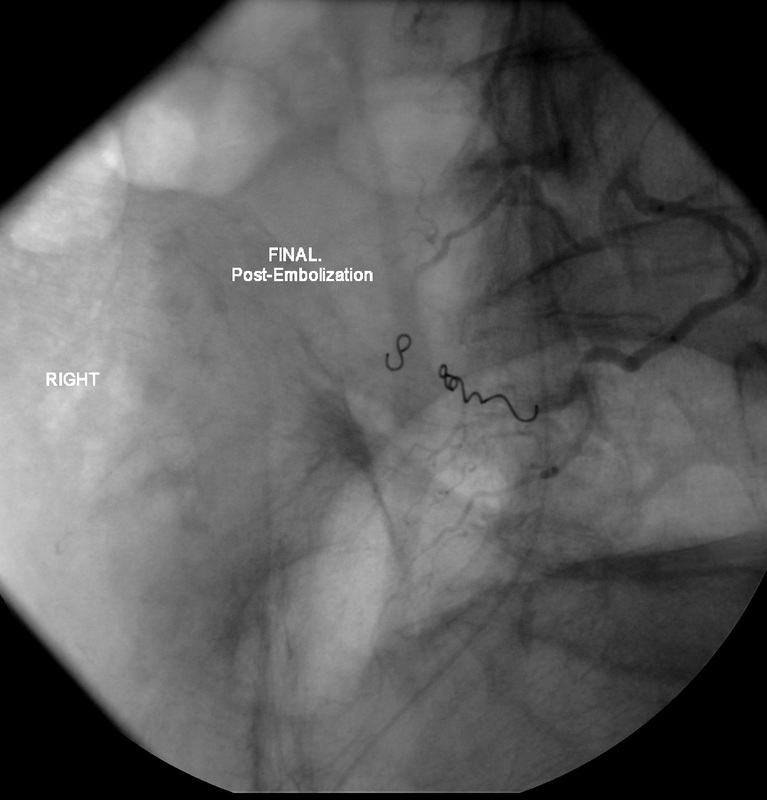 3b Image 3b (Angiography): Angiography of same patient demonstrating extravasation of contrast medium from a branch of the superior mesenteric artery in the ascending colon. Usually, endoscopy is the first line modality to evaluate, localise and treat patients with suspected upper GI haemorrhage. 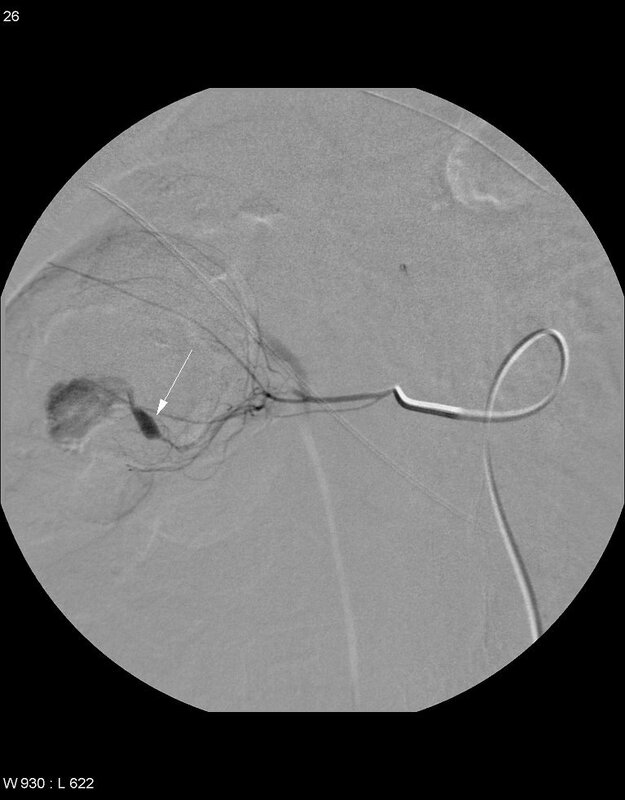 Usually, catheter angiography is the first line modality to evaluate, localise and treat haemodynamically unstable patients with suspected lower GI haemorrhage and unprepared bowel. Triphasic CT Angiogram is a rapid, non-invasive investigation that can accurately localise the site and aetiology of bleeding in patients with active bleeding. RBC Scintigraphy is recommended for intermittent bleeding as it allows repeated imaging over a 24 hour period. First line radiological modality to assess actively bleeding, haemodynamically stable patients.